How awesome was New Zealand? Meghan: I can’t even find the proper adjectives to describe how incredible New Zealand is. Why did you choose to get the help of an Arrival Pack? 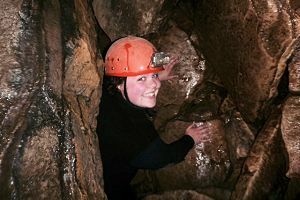 Meghan: I honestly had no idea what I was wanting to do in New Zealand so I figured this was a good place to start and get information about what I could do! What was the best thing that your agency did for you? Meghan: Getting everything set up: phone SIM, banking, etc. It was such a relief to have had that as soon as I got to Auckland. 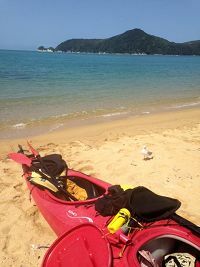 Meghan: Sea kayaking in Abel Tasman was incredible. Although it was scary at some points, it was so so awesome. How was it travelling as a single girl? Was it dangerous at all? Meghan: I didn’t feel in danger at all. Even travelling at night there was always a friendly face I could count on to watch my back. Did you see everything that you wanted to see? Meghan: I didn’t get out east sadly or far west… But I guess I’ll just have to come back for that, haha! What was the best dollar you spent in New Zealand? Meghan: Buying my Stray bus pass – definitely worth every dollar. 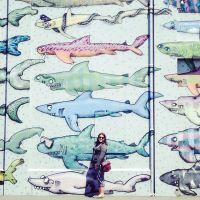 What advice would you give to someone that is about to go in New Zealand on a working holiday visa? Meghan: Don’t think, just do it. Meghan: This trip taught me to be more independent than I ever imagined I could be and to completely just trust myself. Last question, would you recommend an Arrival Pack to your friends and for what reason? Meghan: Yeah definitely! I already did actually, haha! They’re all extremely helpful and kind and I’m super glad I found them.